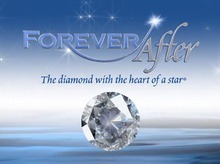 For years it has been said that “a Diamond is forever” and it is true today as much as it was yesterday. The quest to create a signature cut with more brilliance (brightness) began several years ago. The desire to re-conceptualize how much more beautiful a diamond could be was born. 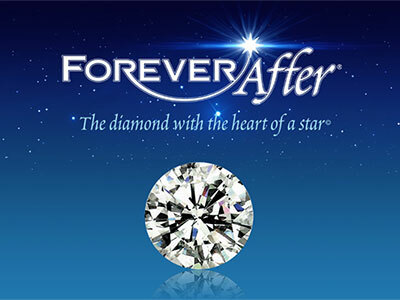 The result: Forever After diamonds, the diamond with the heart of a star. John Wallick Jewelers in Sun City Arizona is the only dealer in the Phoenix valley for a 25 mile radius to sell Forever After diamonds. A passion for more brilliance in a diamondis what led to the one and only diamond that has 81 facets instead of the standard 57 or 58 that a traditional diamond has. The creation of more faceting reflects more light to mesmerize your senses and those who see your diamond. Your Forever After diamond comes with a diamond report stating the color, clarity, and size of the diamond along with a laser inscription for identification on the diamond girdle itself. These diamonds are non-conflict diamonds. This branded diamond is a diamond with all the benefits and not the price tag to match—–This is the Forever after, the unique diamond whose name is synonymous with a passion for more brilliance.